Remember when we were children, and you would read an encyclopedia and see colorful photographs of tribal villages and females with gold rings placed around their necks in a line? It used to intrigue me. Lua is an attractive 20-year-old hill tribe village girl from the Karen tribe, also known as Long-Necks or Padaung, whom I was happy and gracious to converse with via a translator. The aura and class of this beautiful young woman really shone through with an unmistakable spark in her eye that showcased age beyond her years. 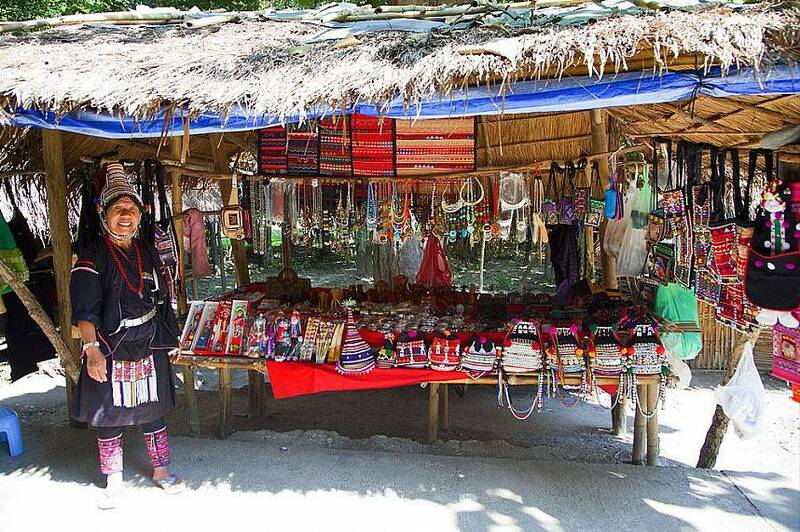 Thailand’s hill tribe villages have become one of the country’s leading tourist attractions spanning the northwest of Thailand in places such as Chiang Mai and Chiang Rai, which in comparison to beachside destinations such as Phuket and Koh Samui are a more authentic slice of real Thailand. 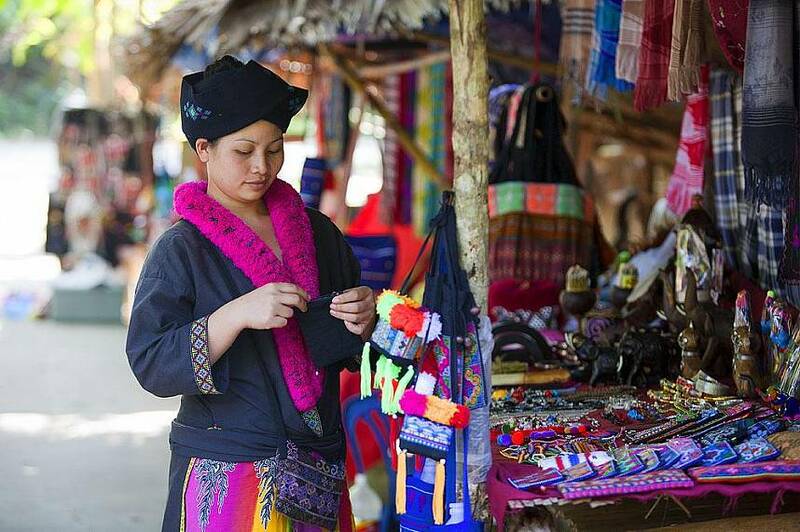 It’s easy for visitors to the Mae Rim Hilltribe Village in Chiang Mai to feel sorry for these people that live in the jungle, who have lived there for generations, but sometimes you have to wonder if their way of living is more in line with nature and polar opposites of our material trappings and consumerism mentality. They all seemed extremely happy, classy and with a more humane attitude towards life than I could ever muster. 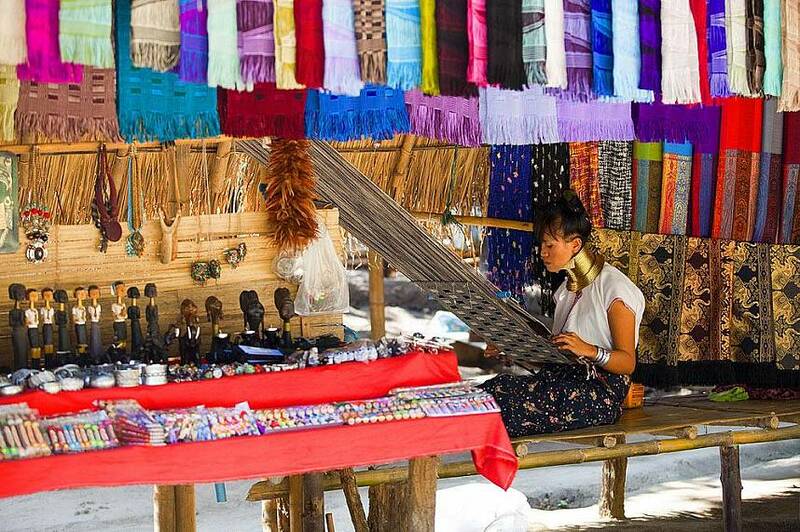 The village is open to all for a 500 baht fee, giving you the opportunity to roam throughout the wooden hut village and observe the villagers going through their daily life routines, weaving fabrics and crafting handmade items for sale. Photo opportunities are aplenty, which really captures the atmosphere of this unique experience. Lua first adorned her tribal rings at 13-years-old. Some human rights liberals believe it’s wrong, but who are they to encroach on a unique culture with its own way of doing things – this is a major problem with the superiority complex of the ‘developed world mentality’ that sometimes shackles our own thinking. 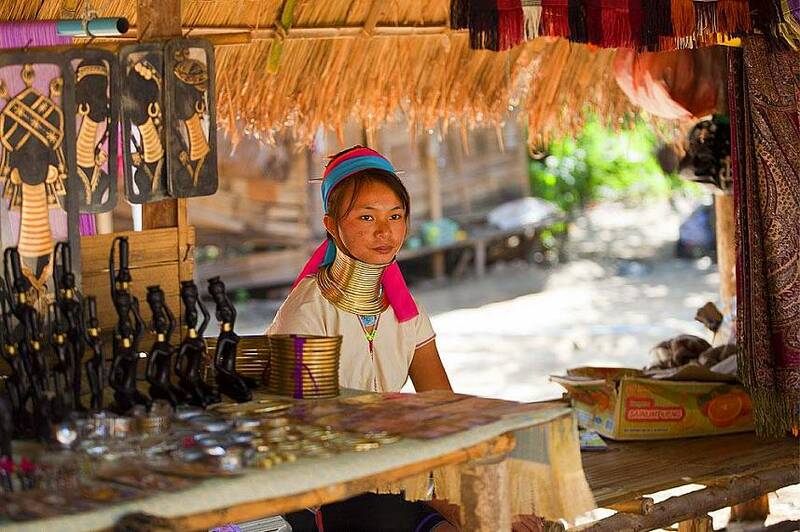 This pretty hill tribe girl explained that once you have worn the rings around your neck for a few years, you cannot take them off or risk medical conditions because her neck muscles are not strong enough to support the weight of the head. This is why the human rights activists make their accusations. I asked her about her life in the village and if she could live in a world where hi-technology rules. She simply stated‘she doesn’t understand the meaning of such a question.’ It was such a powerful and profound statement that put me right back in my box! Meandering our way through the village one thing remained constant – these people were extremely gracious and the smiles on their faces were not fake. They exuded a glow I rarely see in human kind, which is a sad take on the world in general. 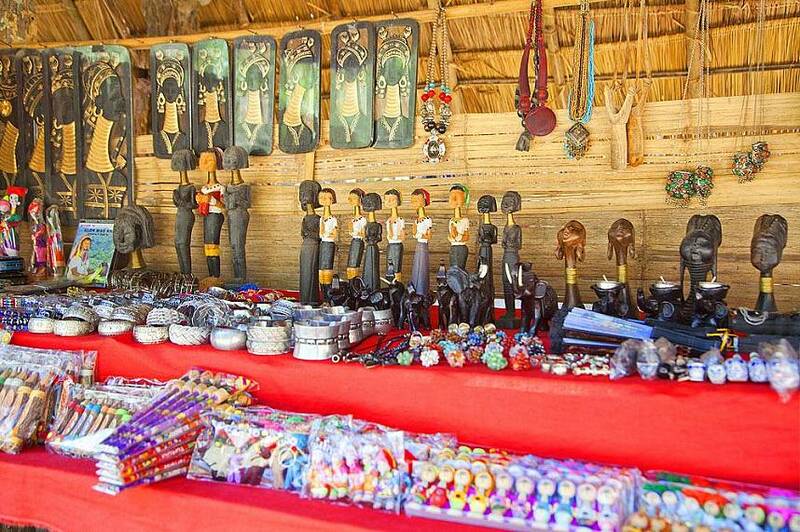 Some people could question the village is purely a money making exercise, geared towards selling handmade trinkets and fabrics to passing holidaymakers. 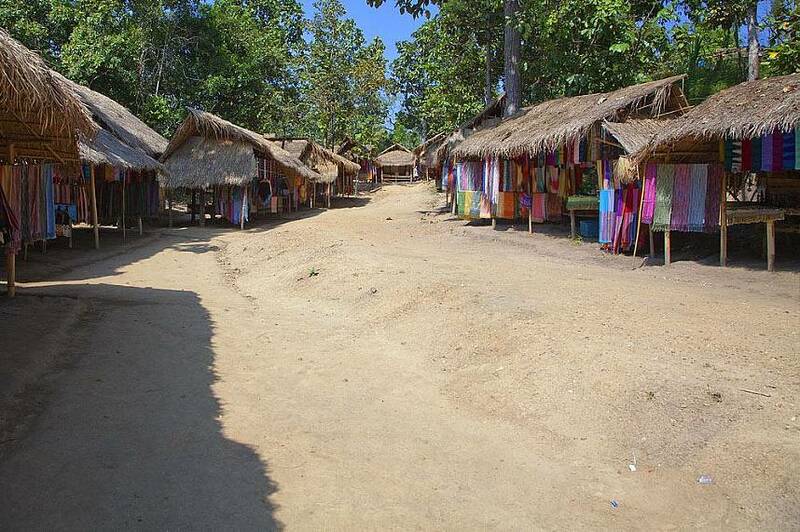 Although this might be true in one aspect, the realness of the Karen people really surprised me. Just meeting Lua and taking some great photos of the village and the people was more than worth the 500baht entry fee though others may disagree. 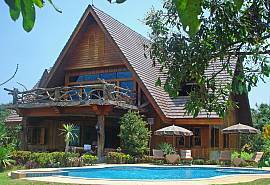 To be a guest in the village and absorb their culture for an hour or so had an effect on my consciousness that cannot be measured by money.